Serving God and serving people since 1973. Wesleyan Woods is owned by the Great Lakes Region of the Wesleyan Church. Operating as a 501c3 non-profit ministry, the campground has been used to minister to families, groups and individuals. Wesleyan Woods is a Christ Centered, family friendly, non-alcohol campground. The mission of Wesleyan Woods is to provide an environment where Jesus Christ can be made known by ministering to all people. Every day we plan to serve each guest in an extremely safe and God honoring manner while providing a great camping experience. Located on 160 acres in the thumb-region of Michigan near Vassar, Wesleyan Woods is a perfect place for your outdoor adventures. It is a multi-purpose facility for year-round conferences, meetings, and camping use. The beautiful Cass River, it’s branches and ponds flow through the property making for a beautiful backdrop for any event. The camp can be used for an individual camper or an entire group. We offer facilities and programs for a variety of church, family, community, professional, civic and school groups. Wesleyan Woods is a state licensed public RV campground. 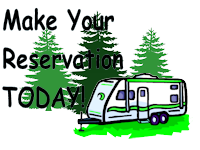 Open for camping May 1st to October 15th. Off season camping maybe available by appointment. As a Christian adventure camp we offer many fun and challenging outdoor activities. State licensed kids and teen summer camps are also available. Come and live the adventure as a family or group experience at our alcohol free facility.